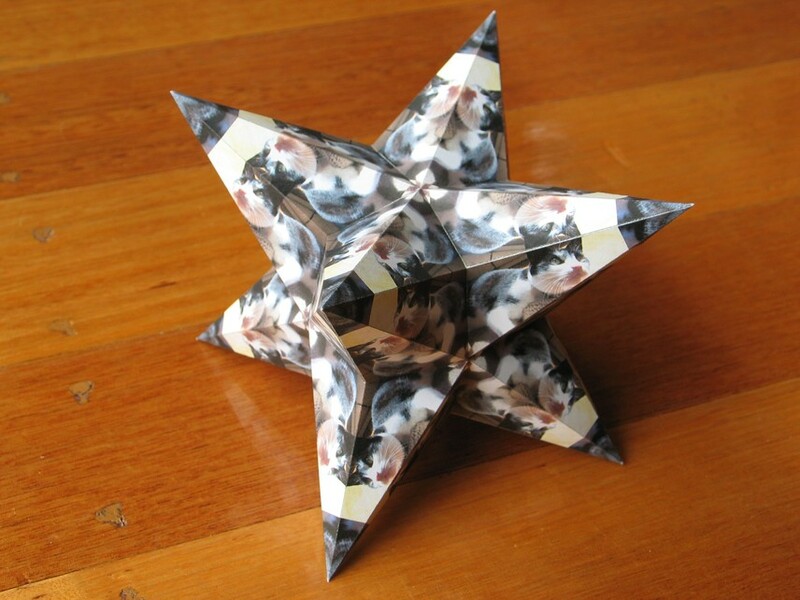 Dual of the great truncated cuboctahedron. 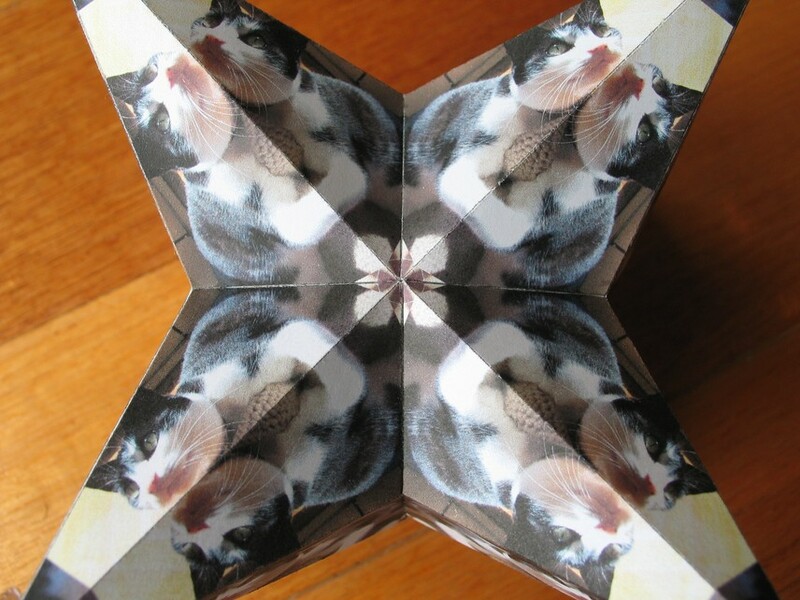 The kaleidoscopic effect is made up from photographs of my cat. When a photo is applied to several faces, Great Stella uses mirror images on mirrored faces, to help produce results like this. Half finished. After this point I put in some extra struts to add rigidity. 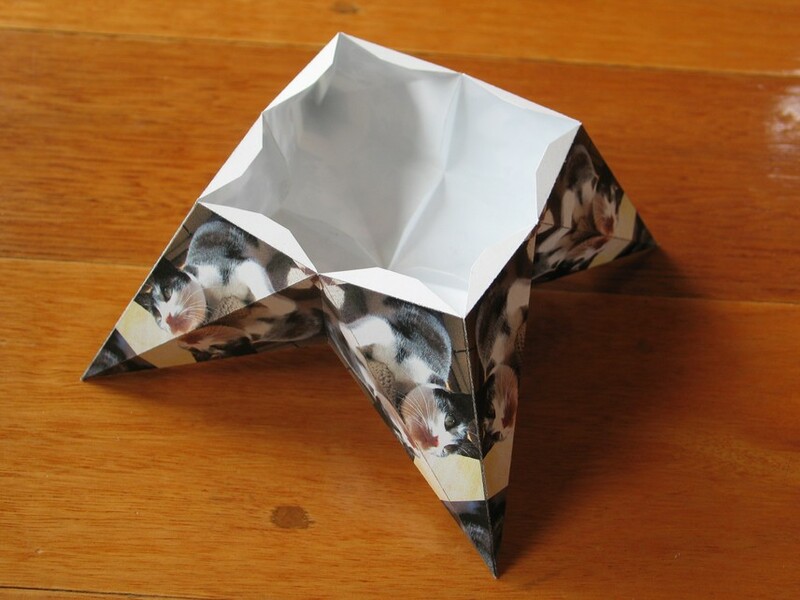 Use Faceting Mode in Great Stella to design these. Here's a closer look so you can make out the kitty a bit better. Click on the image for a larger version.